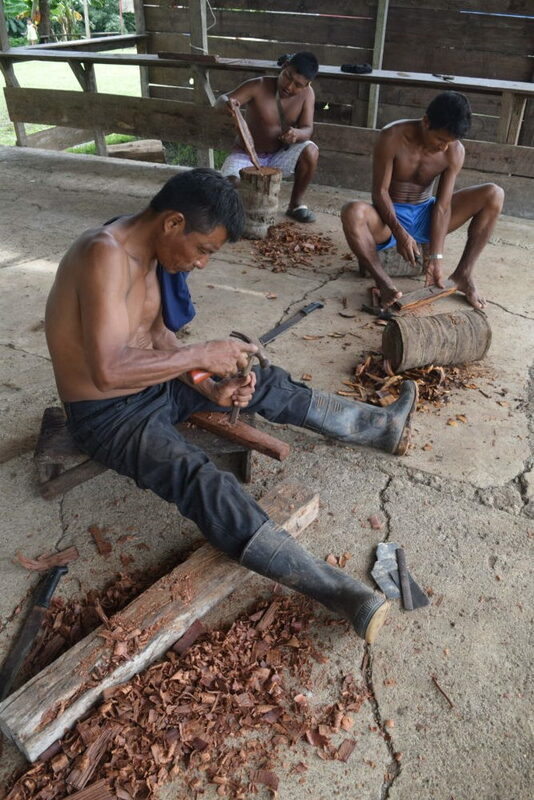 In the Darien rainforest of Panama we offer the space, time, and resources for Emberá and Wounaan people of all ages to learn traditional skills from their elders, exchanging and practicing with each other the time-honored rainforest living techniques. 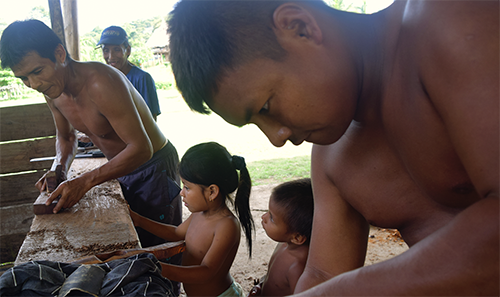 These practices have historically defined much of what it means to be Emberá or Wounaan, and they have been integral to sustaining people in the forest for generations. 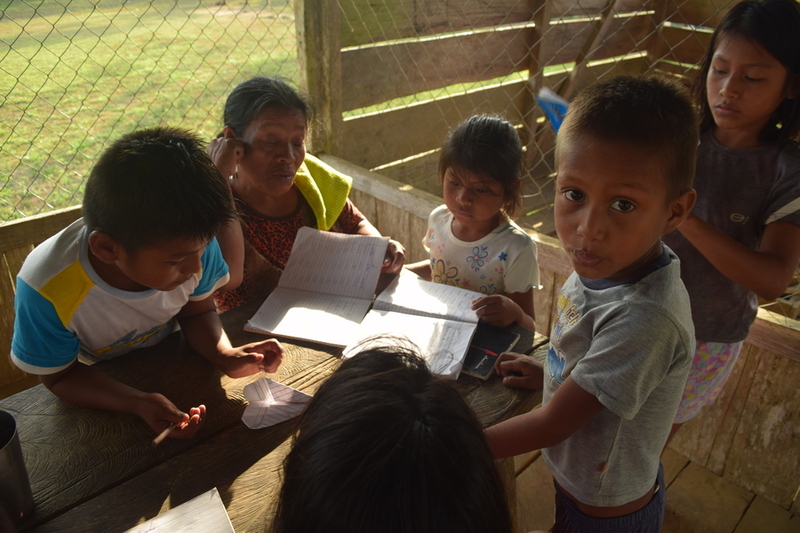 In 2018 we ran the first ever in-community language revitalization course in Emberá for the Emberá. This program was specifically requested by our Advisory Council and addressed a well-known need throughout their communities. 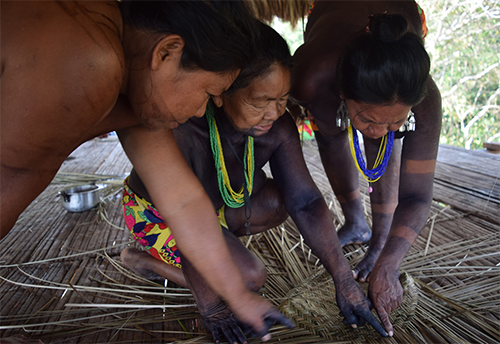 A tri-lingual indigenous elder relocated to a remote region, far away from her children and grandchildren, in order to revive native language in villages where it is rapidly being lost. 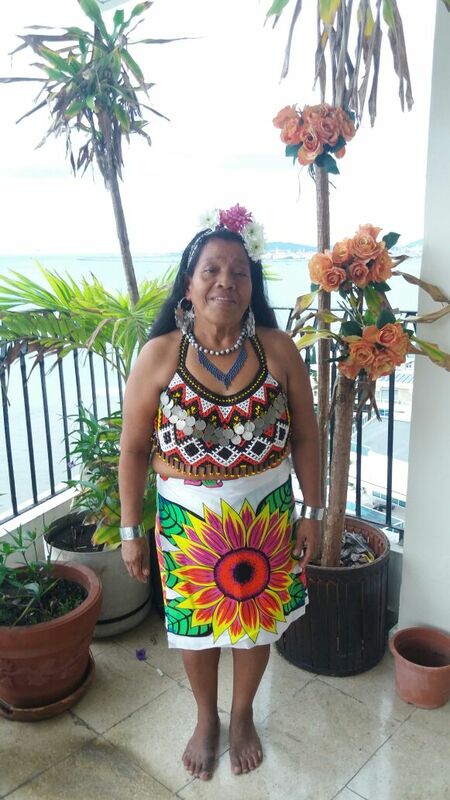 She taught community members daily in both language and weaving, laying the groundwork for ever-increasing Emberá language recovery in the region. We are honored to be supported in this work by National Geographic Society and the Foundation for Endangered Languages. 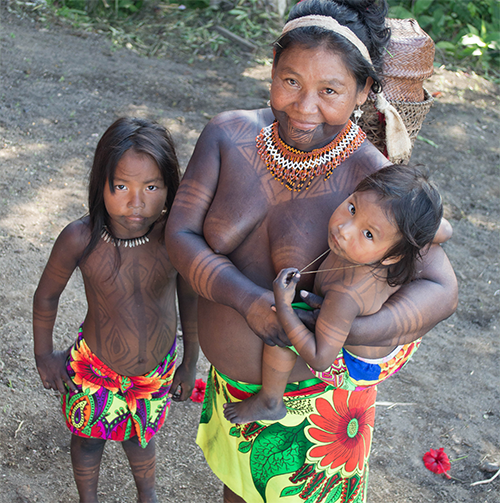 Our teacher of Emberá language, Elsa Carpio. Students linger with Elsa after class. Student Doralisia Garabato demonstrates her homework as Elsa coaches. 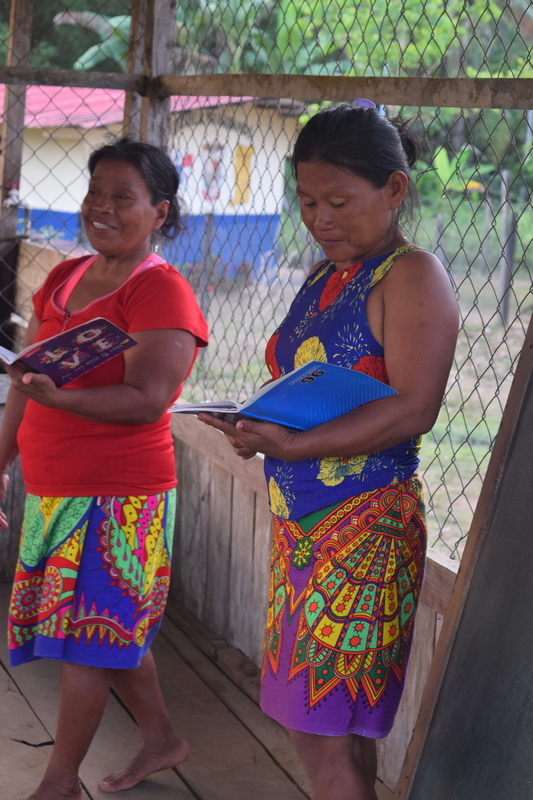 We have begun work on a first ever recorded audio course in Emberá language for Spanish speakers, so that folks can learn on their own time wherever they are. Requested by our students, this will be shared widely and freely. 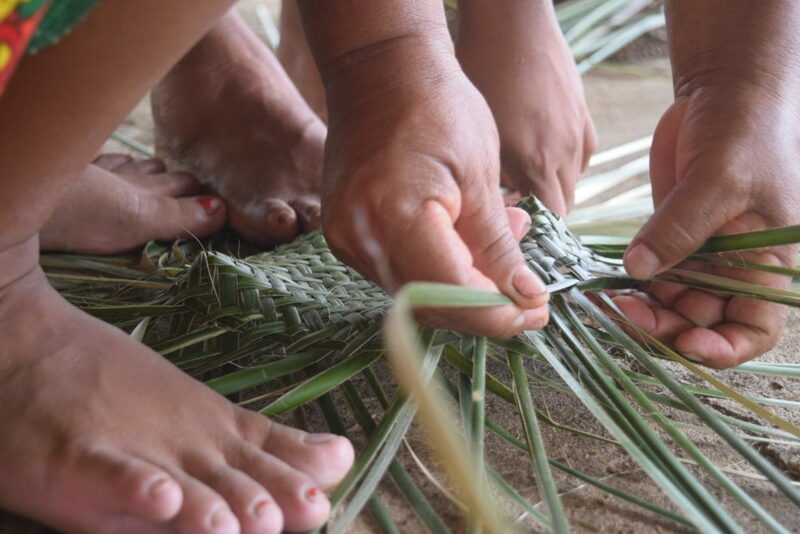 Participants in our practical workshops have honed their skills in making tools, baskets, boats, shelters, and other ways of sourcing and using materials from the rain forest as part of daily life at home. They reconnect with their traditional science and wisdom, bring the community together and share their cultural heritage. The current Dirigente of La Marea, Bertha Minguisamá. The little ones learn by watching. Our woodworking instructor Lupercio Grajales & student. 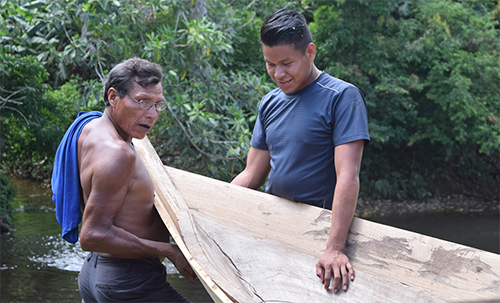 With an eye towards the future for the next seven generations, our programs complement these ancestral practices with workshops given by experts on environmentally sustainable infrastructure development. We foster informed community-wide discussion about how best to incorporate imported technologies, participate in local and global economies, and grow in alignment with traditional indigenous world views. 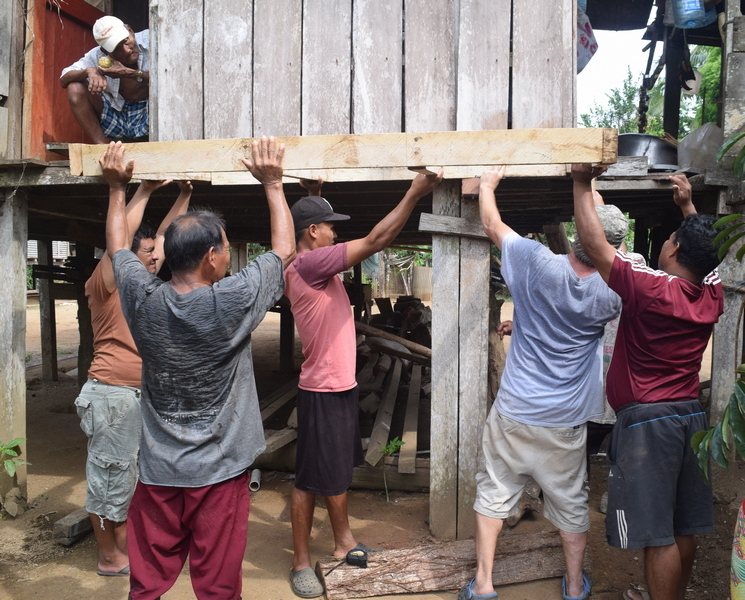 All hands help to raise the floor of our house-fit dry composting latrine. 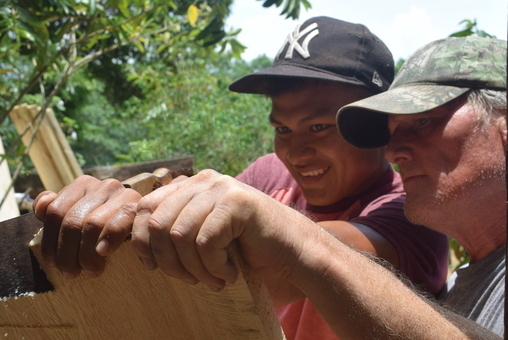 Carpenter Tom Cumings works with José Garabato. 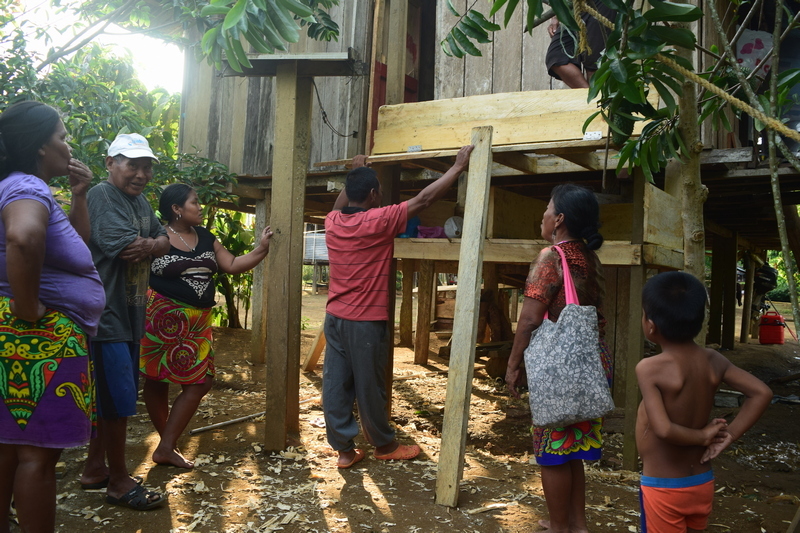 Villagers of Valle Alegre assess our progress.